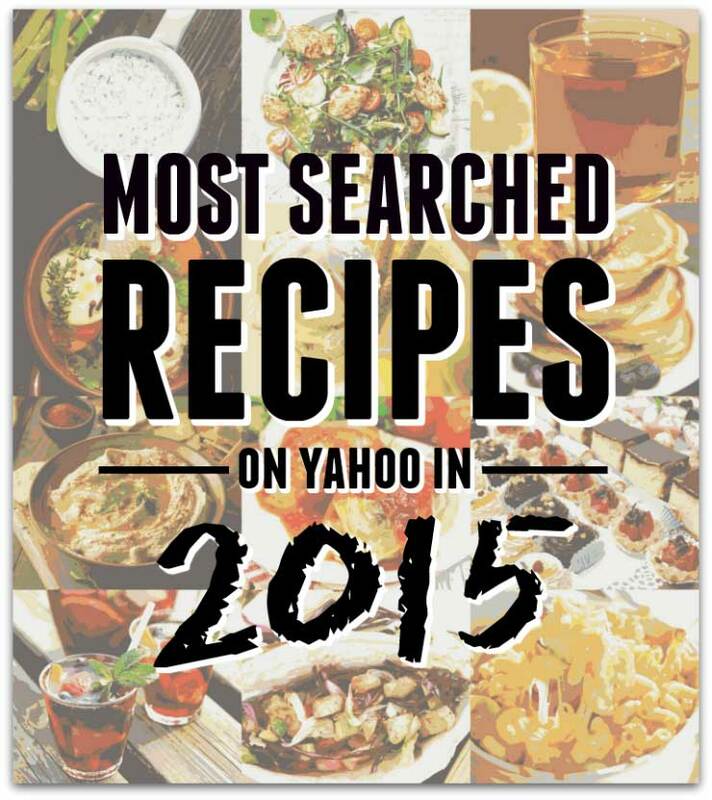 It’s finally here: Yahoo’s annual Year in Review, where they take a look back at the top stories and trends based on Yahoo’s daily search habits from millions of people. This is the fourteenth year of Yahoo’s Year in Review and it continues to shine a light on the top stories and most viral trends of the year. If you were to look back at 2015, what do you think the most searched cocktail would be? Dessert recipes? Recipe? Considering the huge success of Mad Men, it’s no surprise that Don Draper’s go-to drink, the Old Fashioned, made the number one spot for top searched cocktails. As for the top recipe and dessert … well, I’m kind of surprised. Take a look! Note: To develop the Yahoo Year in Review, Yahoo’s editors analyze Yahoo Search queries based on a number of factors, including absolute volume and the growth from previous periods, to see which themes and trends bubble to the surface. Individuals and their Search queries always remain anonymous. Top searched refers to searches with the highest volume. Spiking refers to searches with the greatest change from one year to the next.